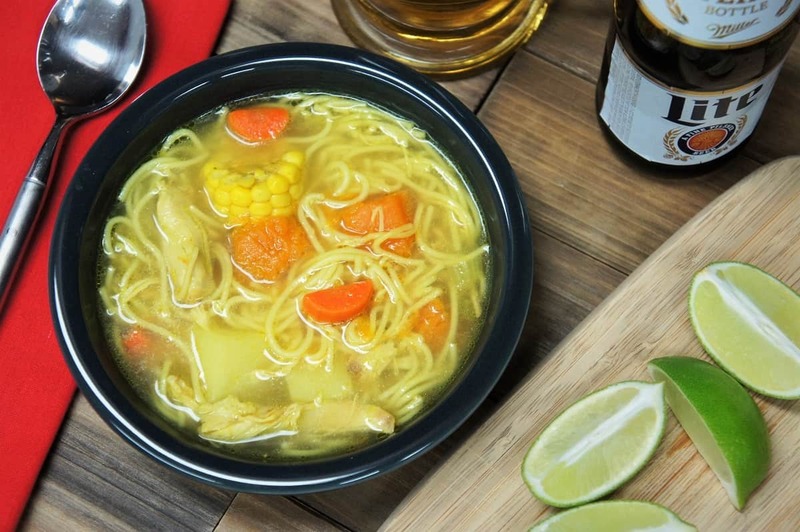 Made with chicken, pumpkin, potatoes, carrots, celery, corn and fidelini noodles, this Cuban Chicken Soup is fully loaded with goodness. We start by making a homemade chicken broth, and then we add all the delicious and good-for-you veggies. To add even more goodness, the soup gets its yellow color from turmeric. 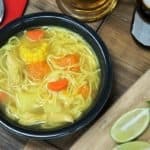 This Cuban chicken soup does take time to make, but if one of your loved ones is under the weather, make this soup and they will taste the love. 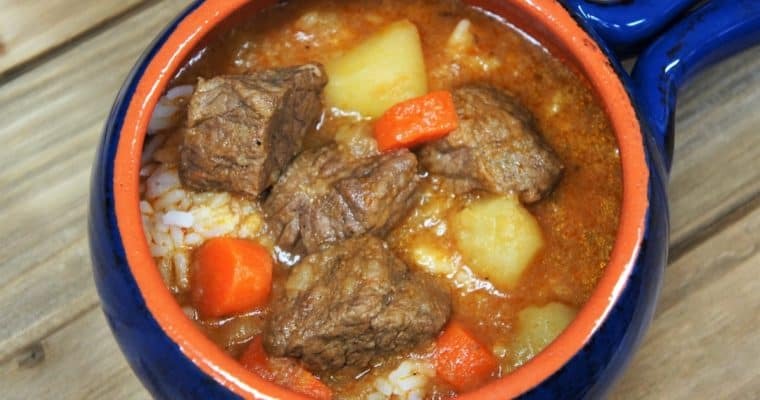 If you’re in the mood for more hearty, delicious soups try this Cuban-style beef soup, this ajiaco soup recipe, or this potaje de lentejas. Enjoy! Cut 2 carrots and 2 celery ribs into roughly 2-3 inch pieces. Peel the garlic and smash slightly. Add the chicken, the prepared carrots and celery, garlic cloves, bay leaf, dried oregano, cumin and water to a large pot. Make sure the pot is filled at least ¾ of the way, and that the water covers all of the ingredients. Bring the water to a boil over high heat. Once boiling, immediately lower the heat to medium to medium-low; the water should remain at a simmer. Half-cover the pot. Simmer the chicken broth for about 90 minutes, stirring only occasionally. Using a large spoon, wooden spoon or strainer, skim off the foam and grease that rise to surface and discard. Do this the first 15-30 minutes of the cooking time; remember to half cover the pot again. Cut the remaining carrot into rounds, half rounds or cubes, and dice the remaining celery, pumpkin, potato, and slice the corn cobs. Remove the chicken broth from the heat. Using tongs or a slotted spoon, remove the chicken from the pot and set on a plate or sheet pan to cool. 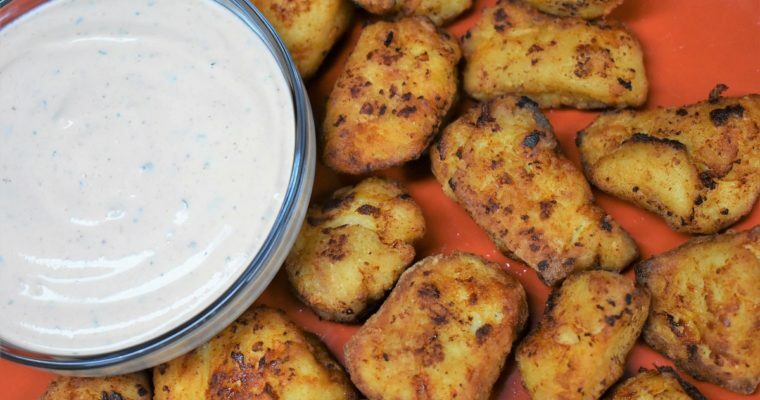 When the chicken is cool enough to handle, remove all meat from the bones and tear into bite sized pieces. Discard any bones, skin and cartilage. Strain the broth: Using a large slotted spoon, remove the vegetables from the pot and discard. Strain the broth using a fine sieve. Note: I like to strain the broth twice; I strain it into a very large bowl (or two). Then I wash the pot, and strain the broth again while pouring it back into the large pot. Fill a large sauce pan with water and set over high heat. When the water comes to a boil add the fidelini noodles and cook to package directions. When they’re done, drain the water. Place the chicken broth back into a clean, large pot over medium-high heat. When the broth comes to a simmer add 1-2 tablespoons of the chicken base and the turmeric powder to the broth. Stir well until the chicken base dissolves completely. Add the sliced carrots, celery, pumpkin, potatoes and corn cobs to the pot, cover and cook for 5-7 minutes. Bring to a boil, at about medium-high to medium heat. When the soup starts to boil, lower the heat and keep it at a simmer, uncover the pot and stir only occasionally. Add the reserved chicken meat and the cooked noodles to the pot; stir to combine all the ingredients well. Cover and cook the soup for another 5-10 minutes until the carrots, potatoes and pumpkin are tender. Taste the soup and add salt, if needed. Serve this fully loaded Cuban chicken soup with lots of lemons or limes, and your favorite hot sauce. Fidelini or Fideo noodles are a thin vermicelli type noodle that comes dry and coiled, usually in a bag. They can be found at many Latin markets, or check the international aisle at regular supermarkets. In a pinch, substitute a thin noodle like vermicelli or thin spaghetti if you can’t find fidelini. Don’t add uncooked noodles to the soup. Cook the noodles in a separate pot, then add them to the soup when they’re cooked already. This extra step prevents the noodles from absorbing all of the delicious chicken broth you spent the afternoon making! 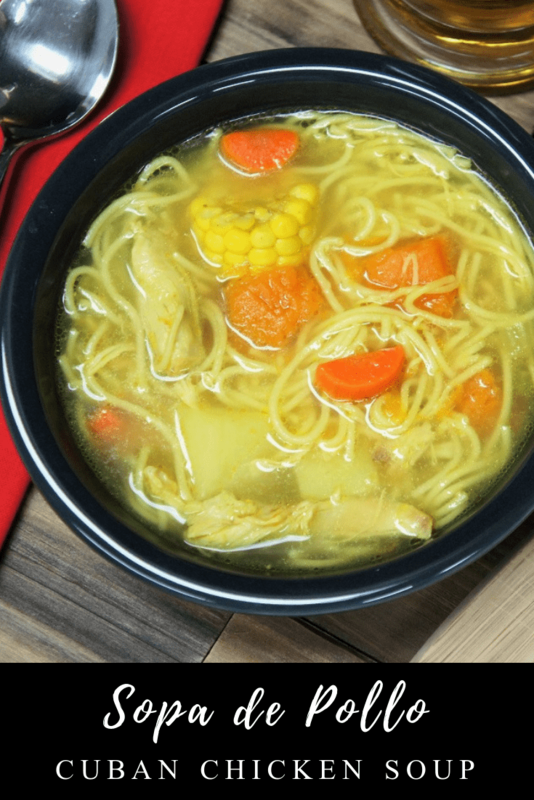 Made with chicken, pumpkin, potatoes, carrots, celery, corn and fidelini noodles, this Cuban Chicken Soup is fully loaded with goodness. Bring the water to a boil over high heat. Once boiling, immediately lower the heat to medium to medium-low; the water should remain at a simmer. Half-cover the pot. Simmer the chicken broth for about 90 minutes, stirring only occasionally. Using a large spoon, wooden spoon or strainer, skim off the foam and grease that rise to surface and discard. Do this the first 15-30 minutes of the cooking time; remember to half cover the pot again. Remove the chicken broth from the heat. Using tongs or a slotted spoon, remove the chicken from the pot and set on a plate or sheet pan to cool. When the chicken is cool enough to handle, remove all meat from the bones and tear into bite sized pieces. Discard any bones, skin and cartilage. Set the chicken meat aside. Strain the broth: Using a large slotted spoon, remove the veggies from the pot and discard. Strain the broth using a fine sieve. Note: I like to strain the broth twice; I strain it into a very large bowl (or two). Then I wash the pot, and strain the broth again while pouring it back into the large pot. Fill a large sauce pan with water and set over high heat. When the water comes to a boil add the fidelini noodles and cook to package directions. When they’re done, drain the water and set the noodles aside until ready to use. Add the sliced carrots, celery, pumpkin, potatoes and corn cobs to the pot, cover and cook for 5-7 minutes. Bring the soup to a boil, at about medium-high to medium heat. When the soup starts to boil, lower the heat and keep it at a simmer, uncover the pot and stir only occasionally. Serve this chicken soup with lots of lemons or limes, and your favorite hot sauce.